Trailing Norwegian challenger Magnus Carlsen by two points at the end of the eighth round, reigning world champion Viswanathan Anand is trying hard to defend his title. 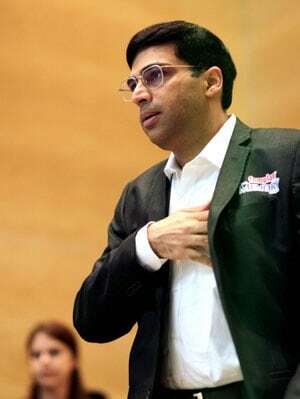 Opportunities for Indian chess players to endorse financial products hinge on Viswanathan Anand successfully defending his world title and also change of rules by the market regulator. "If Anand loses the title, it will be a set-back for other chess players in getting endorsement opportunities as Anand signifies the chess brand in India," Ramanujam Sridhar, chief executive officer (CEO) of Brand Comm, a brand consulting company, told IANS. A chess Grandmaster, on the condition of anonymity, echoed similar sentiments. 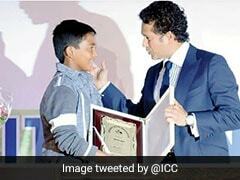 "Anand's loss in Chennai is not good for Indian chess players. Their hopes of getting some endorsement opportunities would vanish with his loss," the Grandmaster told IANS. India's second highest rated player P. Harikrishna said: "If Anand wins, the brand owners may look for other Indian players also to endorse their products." According to Harikrishna, the world title match here will be a turning point for the game in the country. Trailing Norwegian challenger Magnus Carlsen by two points at the end of the eighth round of the world chess championship, reigning world champion Anand is trying hard to defend his title. Chess experts told IANS that it is going to be an uphill task for Anand to overtake Carlsen to retain the title. Chess champions told IANS that they are ideal brand ambassadors for endorsing financial products and computer chips, among others products. According to them, investments are linked to strategies and computers to their computing power, both of which chess players signify. "We need one key figure to drive celebrity endorsement in chess," Sridhar said, adding that a title defeat may not largely affect Anand as a brand ambassador as his achievements are already there. Perhaps brand owners might offer a lower endorsement fee to Anand if he fails to defend his title. "A brand ambassador in the form of a chess champion could be utilised for a company for either gaining quick visibility or for stabilising an already established brand," Kamalakar Sai Palavalasa, director-sales and distribution of IndiaFirst Life Insurance Company Ltd. told IANS. Meanwhile a senior official of a mutual fund company told IANS that the players are banned by the market regulator from using celebrities as their brand ambassador. 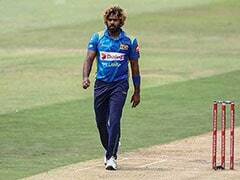 "Even if we want to have a chess player or any other sportsman other than a cricketer, the rules do not permit us," he told IANS on the condition of anonymity.